Even the Academy president can’t hide her disappointment with this year’s all-white Oscar nominations. Of all the minority actors who appeared in films in 2015, none were nominated for an Academy Award (no Michael B. Jordan or Ryan Coogler; no Will Smith). And even the technical categories are practically devoid of color. The nominations process shouldn’t shock anyone at this point (change is painfully slow). 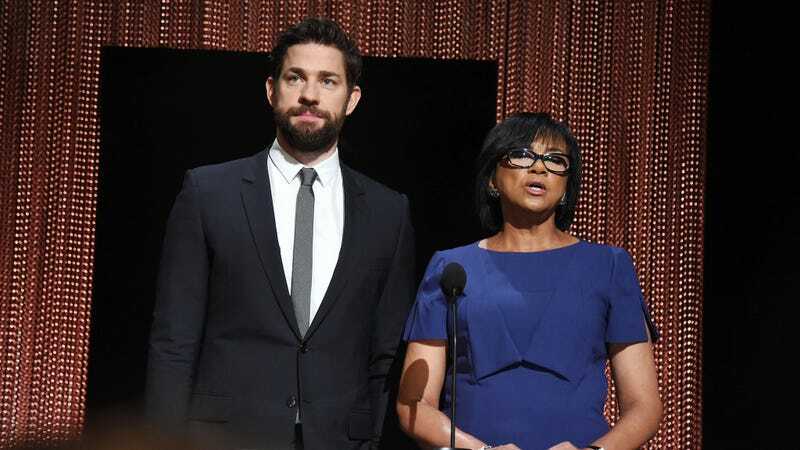 Still, Cheryl Boone Isaacs, the Academy’s first black president, feels like the organization should maybe ease up on the exclusivity a little bit. So we’ve seen this steady dialogue of her (and others) praising the Academy’s efforts while diplomatically acknowledging its room for improvement. Now, even Isaacs—who was reelected to her position last August—is saying it’s time to hurry up. Every year, there’s talk of whether actors of color deserve nominations or not and whether they should even care about getting props from this white institution. It always comes down to taste and subjectivity. Then again, let’s ask ourselves how Jennifer Lawrence continues to be acknowledged, regardless of the quality of her work that given year.